“Entering StartUpLand” author Jeffrey Bussgang is general partner at Flybridge Capital Partners. Let’s talk about your ideal workplace scenario: Does it involve setting your own hours, and being able to work from a chaise lounge on the back deck? Or working intensely with a tight-knit group of colleagues to help a startup find success? Two books from Boston authors, both being published next week, lay out two possible paths for motivated workers of any age. “Reimagining Work,” from the co-founders of the Boston startup Catalant, describes the chaise lounge lifestyle: With the right skills, you can easily market yourself to clients around the world, set your own hours, and become a one-woman consulting colossus. 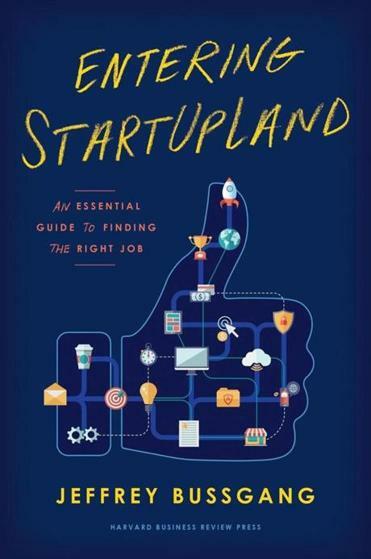 “Entering StartUpLand,” by venture capitalist Jeffrey Bussgang, is a newbie’s guide to the realm of startup companies, intended for people whom Bussgang dubs “joiners,” the folks who sign on to help build the company after it has been founded. Bussgang is a former entrepreneur — and also a “joiner” — who has been through an initial public offering and now puts money into new ventures as part of the crew at Flybridge Capital Partners. First, Bussgang advises, don’t imagine that lobbing in your CV via a website is going to get you much attention. Old-school networking is still powerful: going to events in the startup community, and getting to know people who can make warm introductions to their employers, or put in a good word when you do apply. And once you get the interview, you need to be knowledgeable about the company, its offerings, and its competitors. But buying a ticket to “StartUpLand” shouldn’t be seen as a path to instant millionaire-dom. “You’ve got to do the thing you’re passionate about,” Bussgang says. “Startups are marathons and not sprints. You can’t be looking for the quick hit. There has to be intrinsic value to your time there, and not just financial value.” He notes that he has been an investor in plenty of startups whose shares didn’t wind up being worth a cent. “The more you know about how poorly many big companies operate,” he adds, “the more you realize that that system may be on its last legs.” The authors propose an alternative to the 9-to-5 grind: “folks can make work fit into their lives, versus making their lives fit around their work,” in Biederman’s words. Being an “elite, on-demand” worker — a.k.a. a freelancer — isn’t for everyone, they admit. But it’s ideal for people who may prefer semi-retirement to full-retirement, are trying to balance work with parental responsibilities, or may live somewhere where there just isn’t a local market for their skills. If you believe that “happy worker” is not, in fact, an oxymoron, one of these books may lead you to that nirvana.